We are back from summer break and ready for action! 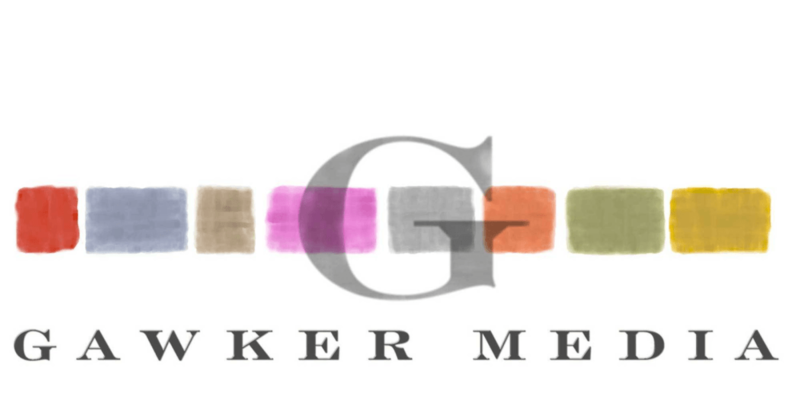 In the news this week, Spanish-language broadcaster and digital media player Univision won the auction for Gawker Media for $135 million. The Rio Olympics ratings on TV has been down for NBC, but digital views are booming. And Arianna Huffington is leaving the Huffington Post in a midlife crisis. Mark rants about the poor NBC Sports app for the Olympics. Our Metric of the Week is Facebook’s Friends-and-Family Algorithm Change, and we go one-on-one with Politico Media’s Joe Pompeo. All on this week’s MediaShift Podcast! Don’t have a lot of time to spare, but still want to get a roundup of the week’s top news? Then check out our Digital Media Brief below! Listen to the MediaShift podcast and follow us on SoundCloud! Thanks to SoundCloud for providing audio support. Subscribe to the MediaShift podcast via iTunes. Listen to the podcast via our Stitcher page or with the Stitcher app. 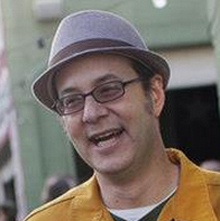 Mark Glaser is executive editor and publisher of MediaShift and Idea Lab. He is an award-winning writer and accidental entrepreneur, who has taken MediaShift from a one-person blog to a growing media company with events such as Collab/Space workshops and weekend hackathons; the weekly MediaShift podcast; and digital training, DigitalEd, in partnership with top journalism schools. You can follow him on Twitter @mediatwit. Joe Pompeo is Politico Media’s senior media reporter and Morning Media columnist. 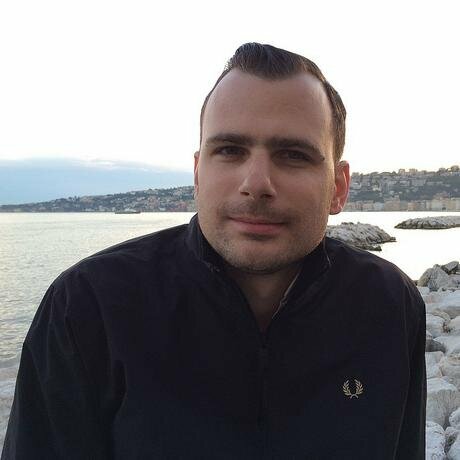 He was previously a reporter at Yahoo News, Business Insider, and The New York Observer. So what are the consequences so far? Univision is a better suitor than the losing bidder, Ziff-Davis, which might not have kept the non-tech sites at Gawker. And the Gawker.com site will apparently be shut down next week, with the fate of the archives unknown. However, Politico’s Peter Sterne reported that Univision will keep 95 percent of Gawker’s current employees and their current union contract will be honored. Gawker honcho Nick Denton, however, will not be involved with his company, and can’t launch a competitor. Univision has been on a bit of roll lately ahead of its expected IPO next year, buying up African-American site The Root, satirical site The Onion, and bought a full stake in Fusion. How Univision will handle a much more controversial site remains to be seen, but it does have one plum in Gawker: major e-commerce revenues, which the company has made a big part of its bottom line. Two interesting trends converged this week: The number of people cutting the cord and dropping pay TV last quarter hit a record 665,000, according to Leichtman Research. Meanwhile the Rio Olympics on NBC had TV ratings that were down 17% from the London Games over its first 10 days, with an even bigger drop of 25% among those aged 18 to 49. So where did those folks go? Many more Millennials have cut the cord and do streaming binge-watching over appointment TV, so they’re content to check out Olympics highlights on the NBC Sports app or social media. And NBC noted that they hit 1.86 billion streaming minutes served over those first 10 days of the Games. So is NBC left crying at the finish line? Not exactly. According to NBC Sports Group Chairman Mark Lazarus, the Rio Games are “the most economically successful” yet, even though many advertisers will need to get extra ads served for the loss of TV audience. NBC isn’t worried because its contract for the Olympics, which runs for another 16 years, includes any digital platform that could be invented in the future. Yes, people are going to watch more than just the packaged TV shows in prime time, and they’re bombarded with spoilers on social media anyhow. As long as NBC can insert non-skippable ads in front of each video highlight, they won’t have to worry about losing money. Now, about that NBC Sports app… I’ll have more to say about it in the Rant & Rave segment later in the podcast. Spoiler alert: It’s not my favorite app ever. It’s obviously a changing of the guard among digital media pioneers, with Gawker sold to Univision, Yahoo sold to Verizon, and Arianna Huffington leaving her own Huffington Post, which launched in 2005. I interviewed Arianna back then for Online Journalism Review and was skeptical about a group blog with celebrities trying to push book sales. Of course, the site became a pioneer in group blogs, aggregated content, viral content, and selling native advertising. And it recently got heat for covering issues of sleep to help push Arianna’s book, “Thrive,” so maybe I was right on that count. In any case, now that the site has been bought by AOL, and AOL has been bought by Verizon, which bought Yahoo… uh, you get the point. It’s lost some of its luster, and losing Arianna makes it a Huffington Post without Huffington. A recent in-depth report from Digiday’s Lucia Moses said the site was having a “midlife crisis,” with traffic down 36% over the past 18 months, while rivals like BuzzFeed have leapfrogged it. Media buyers aren’t as enamored with HuffPost, and Moses reported that the company hasn’t been consistently profitable, spending a lot on international expansion that left the company at break-even in 2015. Can the Huffington Post find life after Arianna? It’s the same question we’ve asked about the other mid-life crises happening at Yahoo, Gawker and other publishers being swallowed up by larger players. If the innovation that happened in the past can’t be rekindled, then they just become part of a larger publisher, a cog in the wheel rather than an innovator that blasts through barriers. Every four years — well, really every two years now — we get the Olympics in all its bloated glory. The world’s greatest athletes competing on the biggest stage, and a viewing audience of billions. In years past, you couldn’t help but get sucked into a great track-and-field sprint with Usain Bolt, an incredible gymnastics routine by Gabby Douglas or another amazing gold medal swim by Michael Phelps. And it’s the ultimate family equalizer, with everyone having their favorite sport. But this year, the Rio Games had a decidedly different flavor, especially when it came to watching the competition. It’s harder than ever to wait for the 8 pm packaged NBC production of all the day’s highlights, when you know you can watch it live-streamed or check out the video highlights on the NBC Sports app or on social media. The availability of so much live coverage and highlights means that there’s more Olympics at more times, and that NBC has seen its TV ratings fall while online streams grow. And yet, it’s still a pretty disappointing experience all around. If you do watch the packaged 8 pm show live, you are stuck with a lot of commercials, and the best parts are saved for late night. And every highlight video, every live-stream you watch online or on the app starts with an unskippable ad, and usually the same ones on repeat. If you want to watch your favorite events on a DVR to skip the ads, you need to find a detailed schedule, figure out what channels are showing what when, and hope for the best. And that NBC Sports app? Don’t get me started! The version on my iPad and iPhone repeatedly crashed so that I would miss a soccer shootout or the final match point of a tight volleyball game. And after each crash, you knew you’d have to launch the app and watch an ad again. So while we have access to everything at all times, in theory, it doesn’t always work out that way. After the men’s pole vault final, I wanted to watch the highlights yesterday and couldn’t find it anywhere on the app, the NBC website or any other place I searched online. All that was available was a 3 hour, 44-minute replay of the entire event! Eventually, the highlights showed up, but you had to dig very deep into the track & field section of the website, most likely because it wasn’t won by an American. Of course, NBC has the rights to the Olympics through 2032, so rather than hope for the best, let’s put the pressure on NBC to up its game on streaming and with its app. If we’re all moving away from live TV, then let’s make the time-shifted version a whole lot better. Jefferson Yen is the producer for the Mediatwits Podcast. His work has been on KPCC Southern California Public Radio and KRTS Marfa Public Radio. You can follow him @jeffersontyen. “The Collaboration of the Week” is a series of stories and podcast segments at MediaShift highlighting one important media collaboration and explaining how they did it. The series is sponsored by Airtable, the all-in-one collaboration platform for creative teams. Receive $50 in credit by visiting airtable.com/mediashift.